Sometimes things have to be done twice before you realise it`s okay. The Dragon in this topic has been mine before. In 2012 i bought it from a friend. It was leaking profoundly. 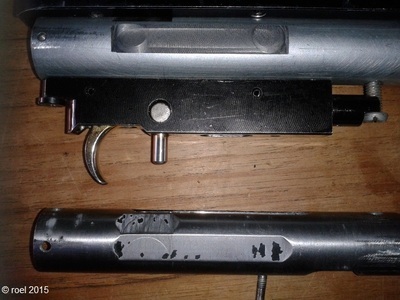 One mistake and the gun is badly damaged and hard to repair. There are hardly any spareparts for Korean guns. Joost, the Dutch importer, is doing his utmost to get hold of some parts. Probes and things like that are for sale now, just like valves and valvebodies, but for the rest there`s nothing much. 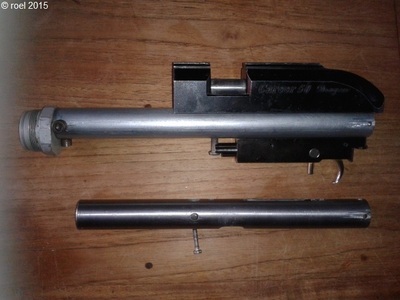 In this topic i`m gonna rebuild the gun i bought for the second time. 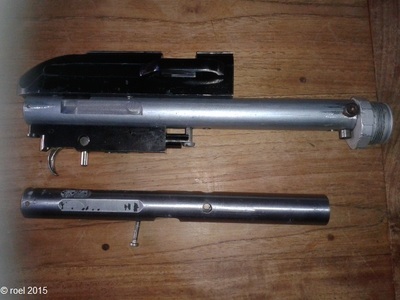 The gun just got stuck in my mind for two years, my mate mentioned the gun every now and then. A few months ago he offered me the gun. For a measly price. An offer i couldn`t refuse. And i didn`t. 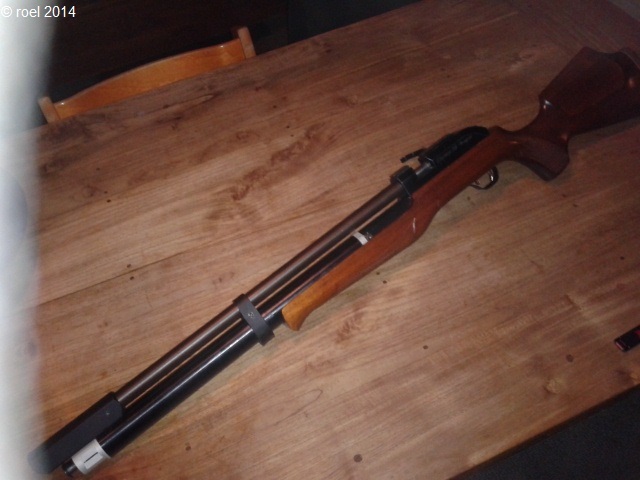 There`s another bloke i met at the shooting range, he`s a young guy with a bizarre love for Korean guns, just like me. Years ago he developed a new kind of valve for his Dragon. It was huge, the valve however was way too large to open. 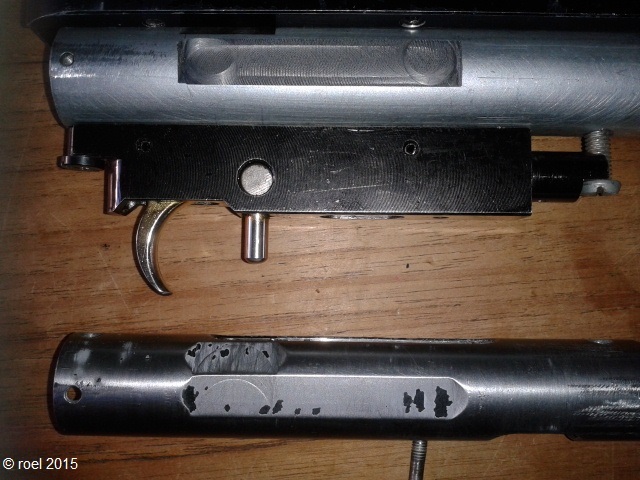 There was no hammer heavy enough to open the valve, not even at 50 bar. In his search for more power he had a spare part wich i needed. He gave it to me. See what you can do with it. If it gets the Dragon shooting again we will all be glad and happy and there`s sunshine everyday and beers are free for every thirsty earthling! The part below is the culprit. 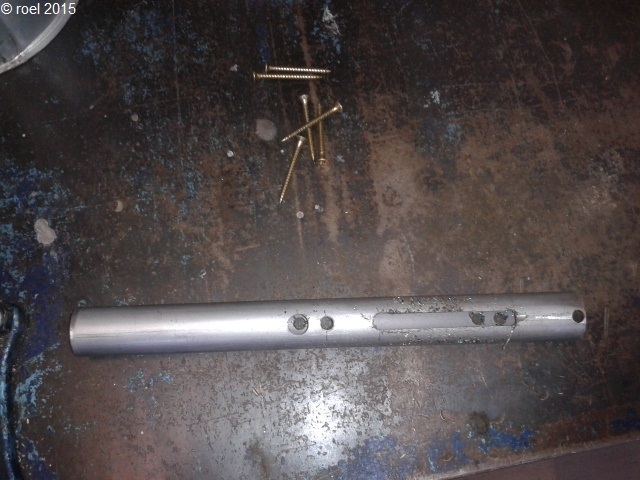 The use of too long bolts pressed te bottom out of the mounting holes. 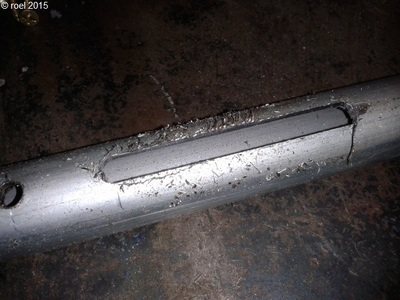 The aluminium alloy isn`t weldable, that`s the first option going down the drain. 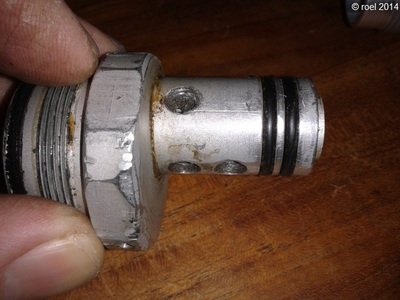 Below the way the connection between the filling pipe and the valve tube ought te be. 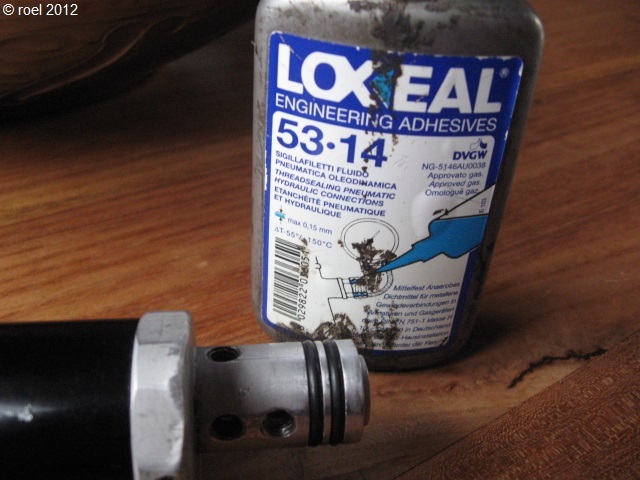 To try and stop the leaking a made a steal tube wich i glued in the connection. It seemed to work but after filling the gun with some 3000 psi of compressed air it started leaking almost immediatly. 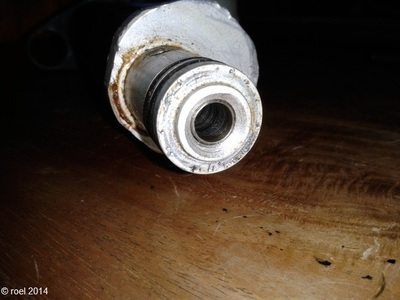 The tube expands a little when put on pressure and the inner tube wich i glued in seems to expand a little less and it`s obvious my solution didn`t work. 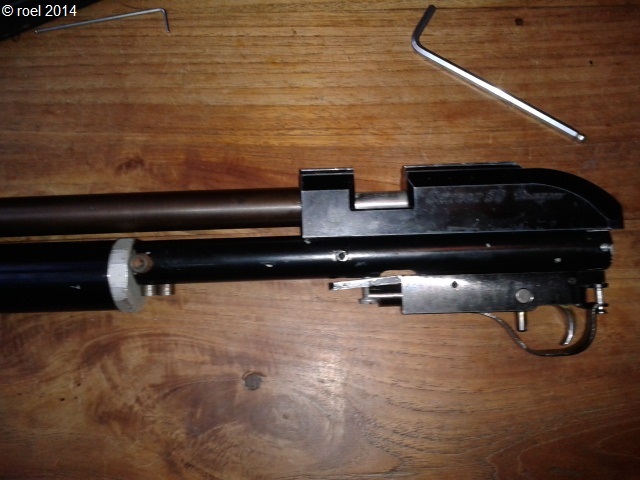 I managed to fire a few shots but in the end i brought it back to my mate wich i bought it from. Meeting SB again at the shooting range he told me that he still had a few parts wich i could use to get the Dragon going again. He gave me this (see picture below). 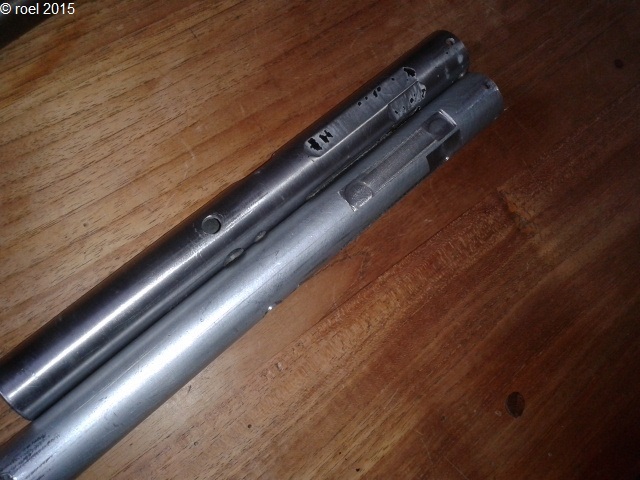 The one on the right is the original Shinsung part, the one on the left is the Big Bore Broossie part. De BBB part needed some work. 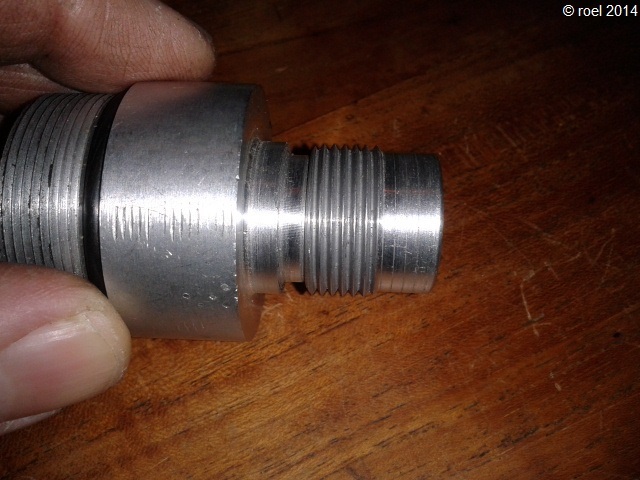 It has M22 thread on one side and M32 on the other side. 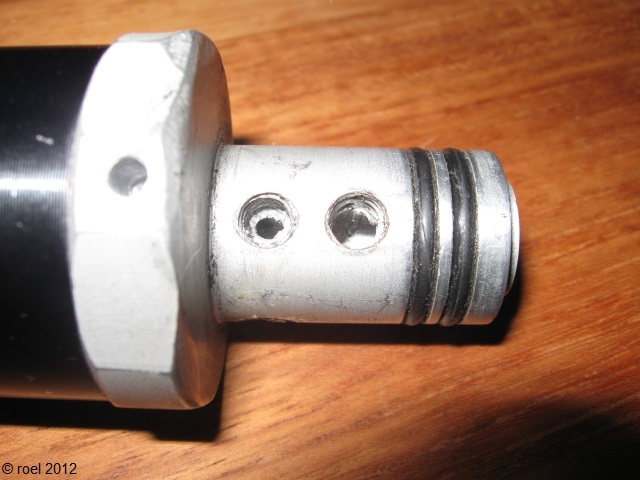 The M22 thread goes in to the valvetube. The BBB part needed some work. 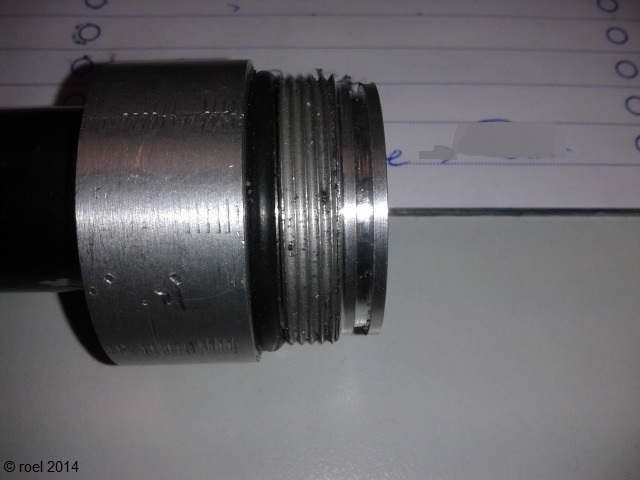 The M32 thread was too long and the o ring is situated at the wrong place. It`s at the front while it needs to be on the back side. 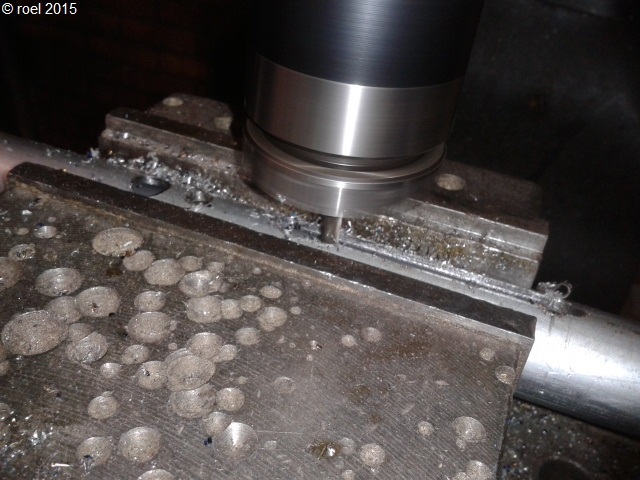 Well, i have got a lathe so i got to work. Next thing was to get M22 in the main tube. 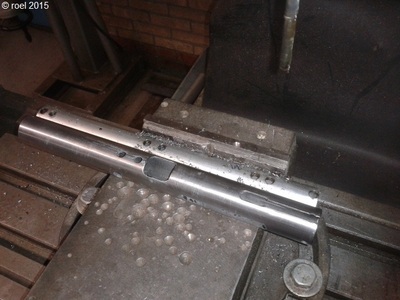 I chopped 20 mm off of the tube and delivered the tube to the company that would cut M22 in the tube. I didn`t want to take the chance of a thread that wasn`t cut straight. When i got the tube back i fitted the connection in the tube and i noticed the thread wasn`t cut straight! Needless to say that i was not amused. Not even a bit. So i tossed every part of the Dragon in a drawer and started working on the Krico springer. Enuff is enuff! When the Krico-work was done i bought myself a 25X2 tube. The standard pipe for the Dragon 24X1.5 but the thicker one gives a bit more body. Next thing i went to the milling machine at my work and made me tube. Completely standard. Next thing i am going to make is a tube with M22 in it. I still want to try the M22 option. Below some pictures of the making of the tube. Some more pics. And that`s how far i have come with the old wretched Dragon. I`ll keep ya guys posted.